Zoe – 18 months. 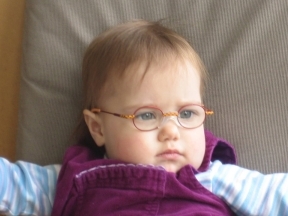 She got glasses at 14 months to treat strabismus due to being farsighted. Glasses from the Glasses Menagerie in Minneapolis.